Blackwell was built in 1900 as a holiday retreat for a wealthy Manchester brewery owner, just south of Bowness overlooking Windermere. (About 30 minutes drive from Sykehouse Cottage on the eastern side.) The house is of international importance and was given a Grade 1 listing in 1998. So, although it’s quite expensive to visit – 2017 Admission prices : £8.80 Adults (without donation £8); Children up to 16 and full time students Free – it is DEFINITELY worth the money if you are interested in the Arts and Crafts. The last family I recommended the place to stayed all day! 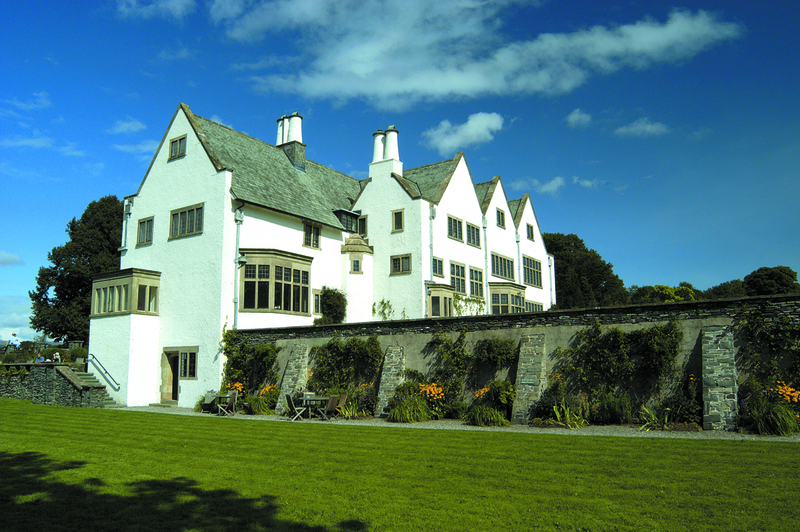 It is a truly wonderful example of Arts and Crafts architecture, with many original decorative features still intact and there is a school of thought that Blackwell is such a complete vision precisely because it was built as a holiday home in the Lake District rather than a day to day residence. Think about it: who could live up to the designer’s perfect vision 24 – 7? 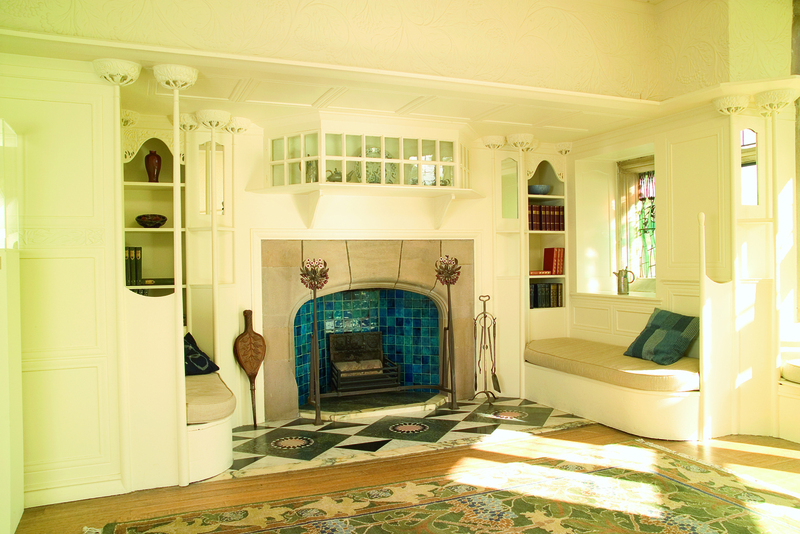 The rooms are carefully furnished with the blend of Arts and Crafts and early country-made furniture advocated by Baillie Scott, containing many pieces by the leading Arts & Crafts designers and studios – furniture by Morris & Co and Voysey, metalwork by W A S Benson and ceramics by Ruskin Pottery and William de Morgan. The curators want you to experience this first hand and, deliciously, visitors are encouraged to sit and soak up the atmosphere in the beautiful fireplace inglenooks and are free to enjoy the house as it was originally intended, without roped-off areas. The house also run a series of well curated exhibitions and displays, usually with an Arts and Crafts feel, throughout the year and have a lovely Tea Room. Every day, 10.30am – 5pm. Tea Room open from 10am Winter closing time: 4pm (Nov – Feb). Closed 25 & 26 Dec and probably first 2 weeks of January 2018. Further details can be found by visiting Blackwell’s own site here. Categories: Arts, Cultural Tourism, Windermere | Permalink.